Our condolences go out to Battalion Chief Joey Campbell for the death of his mother. More information on arrangements will be posted when they are received. Please keep Joey and his family in your thoughts and prayers. 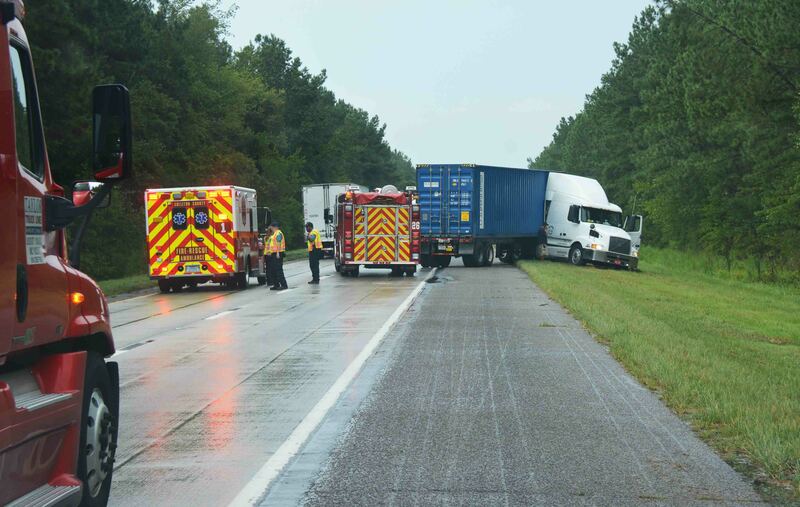 A MVC involving three tractor trailers blocked northbound I-95 near the 67 mile marker Sunday afternoon 23-August at 17:17. Engine 26 and Medic 1 encountered backed up traffic several miles south of the accident. On arrival they discovered two tractor trailers jack-knifed, one blocking the outside lane and one blocking both travel lanes. A third tractor trailer had been struck in the side and was stuck in the soft grassy shoulder. Click here for more information. Our condolences go out to Firefighter/Paramedic Alex Koontz for the death of his father, Vernon. He will be cremated, with a wake with Family and friends in Canton, Ohio. In lieu of flowers, the family asks for donations to your local hospice or compassionate care center. Please keep Firefighter/Paramedic Koontz and his family in your thoughts and prayers. Congratulations to Firefighter/Paramedic Joseph Holmes for completing his NREMT-Paramedic Written and Practical Examinations and obtaining his Paramedic Certification. We wish him the best for this new chapter in his fire service career. A 50 yr. old man was seriously injured when the dump truck he was driving over-turned in the 7200 block of Round O Road at Harlequin Lane Wednesday morning 19-August at 11:23. The truck was southbound on Round O Road when the driver advised a north bound vehicle force him off the road in a curve. The truck dropped off of the shoulder and lost control while returning to the roadway. The large International dump truck flipped completely over, spilling its load and coming to rest on its wheels. Click here for more information. 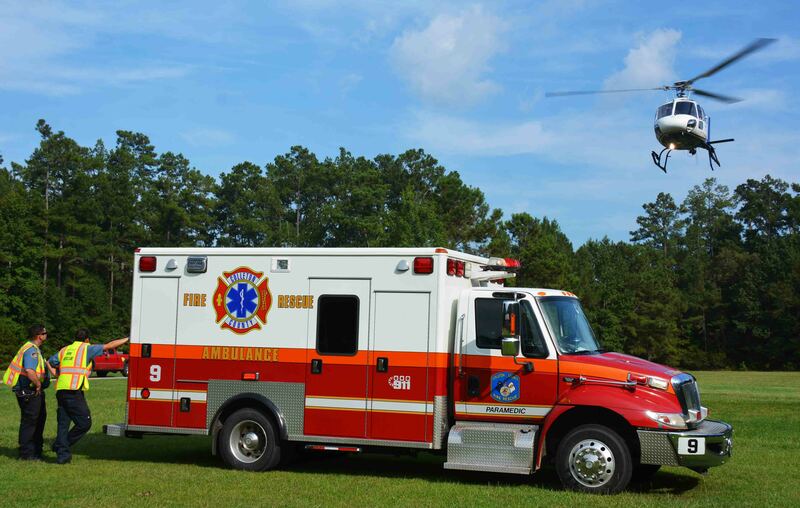 An early morning, two car accident in the 8900 block of Charleston Highway (SC Hwy 64) claimed the life of a 51 year old man and critically injured a 27 year old Walterboro woman. The accident was reported at 05:49, Wednesday morning 19-August just east of Featherbed Road (Neyles Crossroads). Apparently a west bound 2008 Impala lost control in a curve and began sliding sideways. The Impala was struck in the driver’s side by an east bound Pontiac Bonneville. Click here for more information. Sadly, retired Firefighter-Paramedic Elaine Harvey passed away this morning. She was with her family and passed away peacefully at her home following a long illness. We will provide funeral arrangements as we receive them. Please remember her family in your prayers. 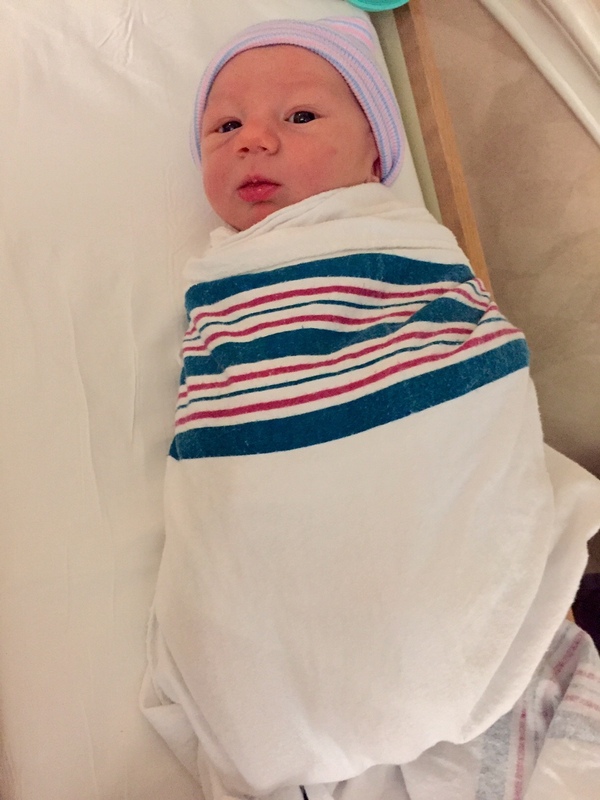 The Department wishes to congratulate Firefighter-Paramedic David Goins & Monica McCrackin on the birth of their son Spencer Paul Goins. 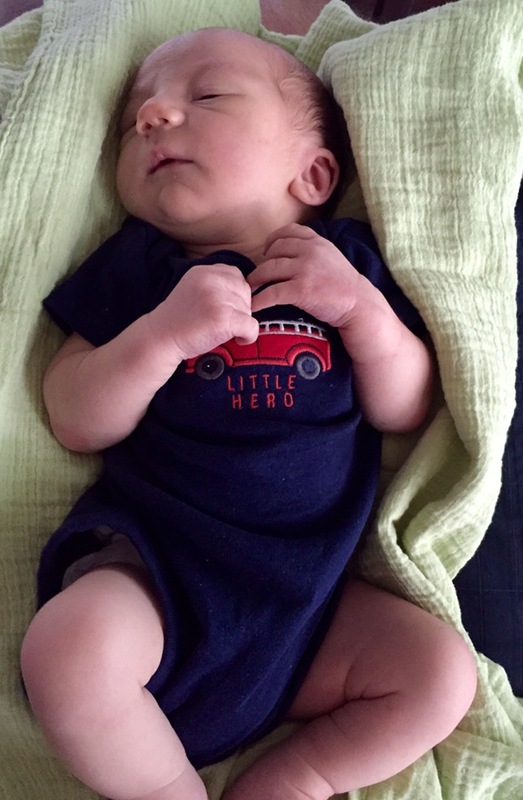 Spencer was born on 6-August. He weighed 8.1 pounds and was 21 inches. All members of the family are doing great. 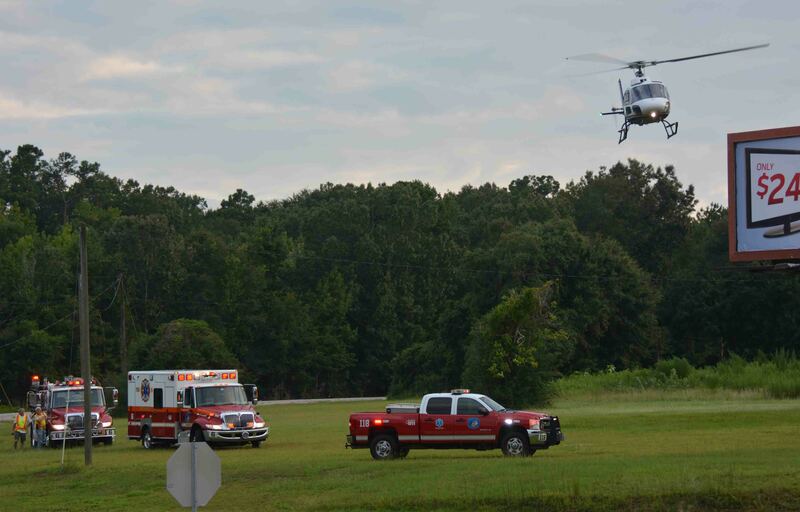 A 24 year old Brunson woman was critically injured in a high speed MVC on Sniders Hwy (SC Hwy 63) east of Jonas Road Monday afternoon 10-August. 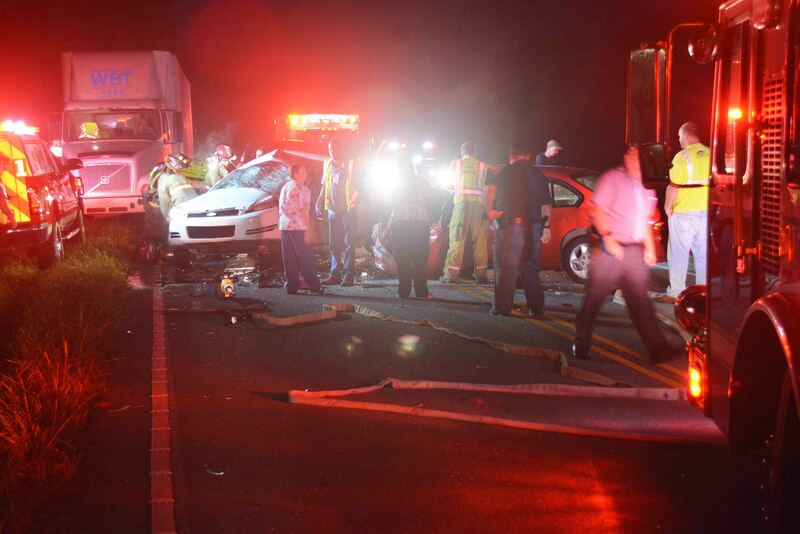 At 15:35, 9-1-1 Dispatchers in both Colleton and Hampton Counties began receiving reports of the crash. Several callers gave different locations reporting the incident along a two mile stretch of SC Hwy 63 in both Counties. Emergency units from both Colleton and Hampton went to the scene. Colleton Engine 15 arrived to find a Kia SUV with massive damage against a tree. Click here for more information. A 76 year old man received suspected life threatening injuries in a high speed, single car accident on Green Pond Highway (SC Hwy 303) at the intersection of Wood Road. 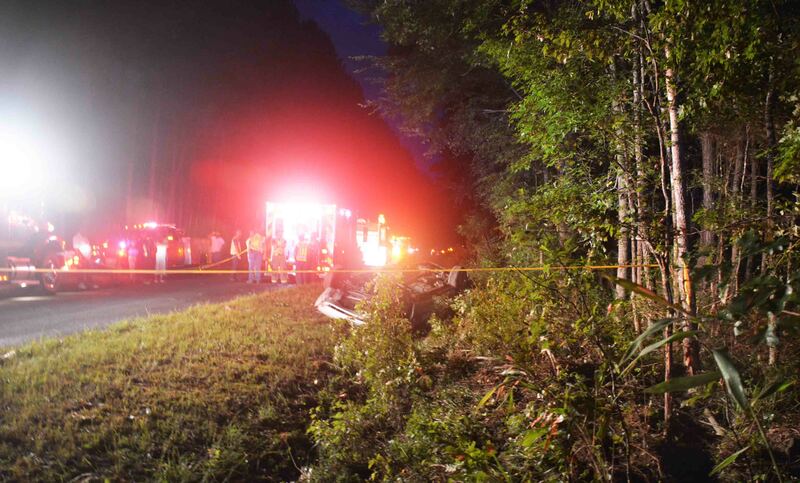 The accident occurred Saturday evening 08-August at 18:39. The small car left the roadway and struck an oak tree head-on causing heavy damage to the car and trapping the driver. The tree intruded almost to the fire wall. Firefighter-Paramedics arrived minutes later to find the man semi-conscious. Click here for more information. A 37 year old Islandton woman was injured during a domestic dispute at 3466 Adnah Church Road, Saturday evening 08-August. At 17:45, the woman received a single GSW to the neck, which exited through her upper back. She had the external bleeding control with a towel when Firefighter-Paramedics arrived. 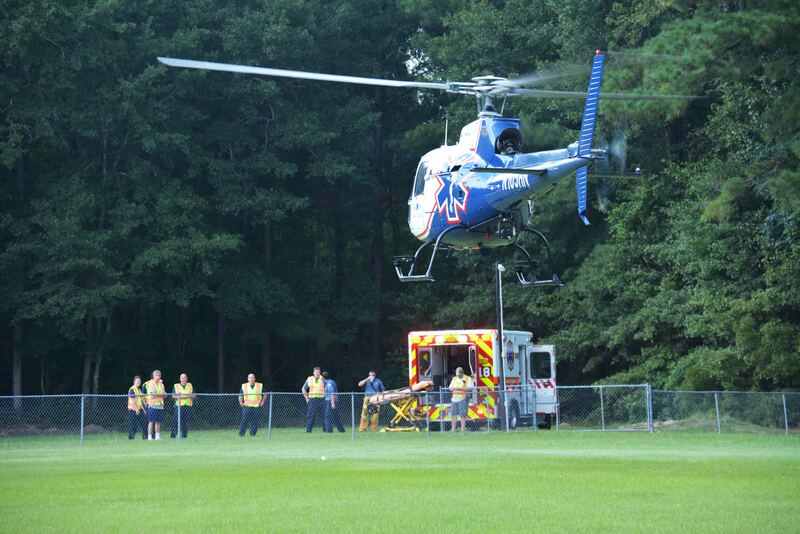 Medic 18’s crew quickly treated her at the scene and requested a medical helicopter. Click here for more information. Three people were injured in a two vehicle, high speed MVC on Jacksonboro Road approximately ¼ mile south of Round O Road Wednesday afternoon 5-August. At 16:23, the two pickup trucks collided in a construction zone. Engine 9 and Medic 9 arrived minutes later to find the roadway blocked and three people in the larger truck complaining of injuries. 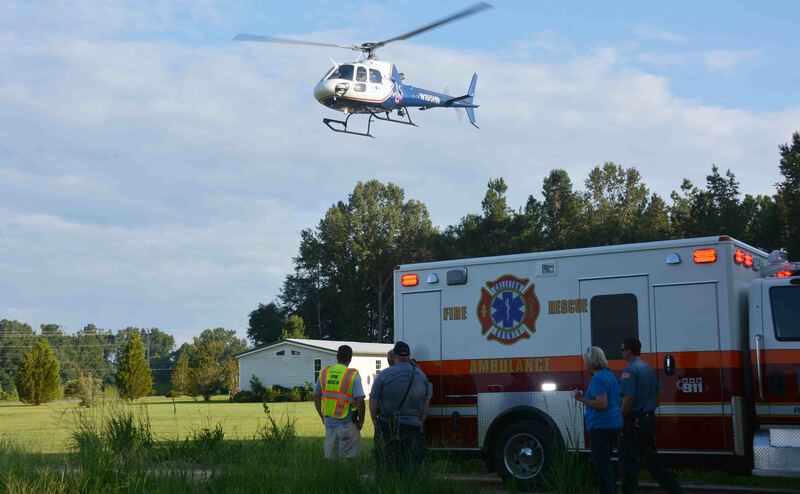 A second ambulance and medical helicopter were requested. Click here for more information. 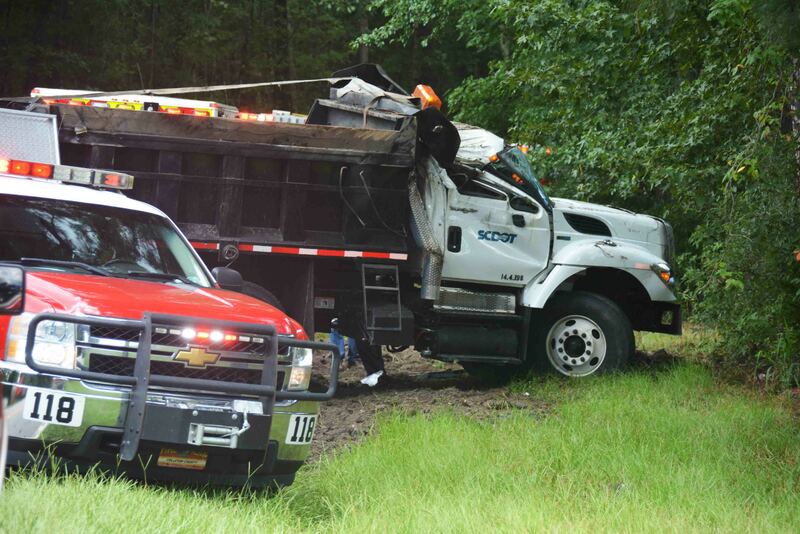 A 48 year old Green Pond man died in a single car MVC Saturday morning 01-August on Clover Hill Road approximately ¾ of a mile east of Wisteria Road. The east bound Lincoln left the roadway at a high rate of speed, hit an embankment and several trees which caused the car to flip over. The driver was ejected from the car. Firefighter-Paramedics were notified of the accident at 05:05 and arrived minutes later. They found the car in the ditch laying on its roof. Click here for more information.